We are heading west for our next vacation. After talking about it for several years, it's finally happening. We are going to Phoenix and Tucson for spring break. Our kids have never been to the desert. 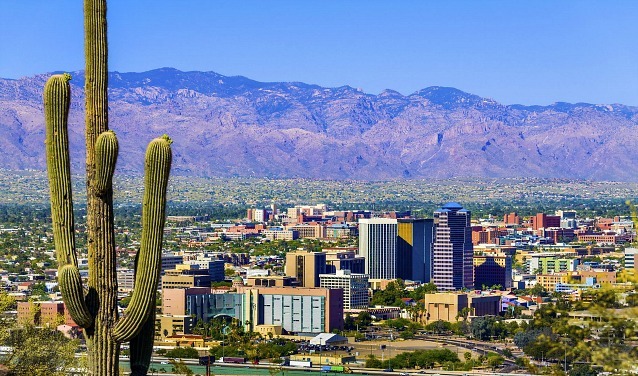 I've been to Phoenix but never to Tucson, and my husband loves Tucson. Two of his sisters went to UofA, and he has fond memories of visiting them there. My sister April lives in Phoenix, and I can't wait to see her and spend time with her while we are there. I'm starting to put together a detailed plan of what we'll do including the places we'll see, the things we'll do, and the restaurants we want to go to. Right now, we don't have many concrete plans other than our flights and our hotel. So if you have any suggestions, I'd be very appreciative of them. Please send them to info@piecesofamom.com. The hardest part about planning a vacation for a family of four is pleasing everyone. While some people may want to relax by the pool all afternoon, others may want to shop or explore. Hopefully, we can pacify everyone. In any event, I know we'll enjoy our getaway!